Discontinued production from Cold Steel: a selection of historical and ethnographicaly inspired machetes with modern 1055 blackened carbon steel blades, polypropylene grips, and cordura nylon sheathes. Sharp, rugged, and ready for all of your chopping and brush-clearing needs - they are way spiffier than standard military-issue machetes, with blade configurations that have proven themselves for centuries. 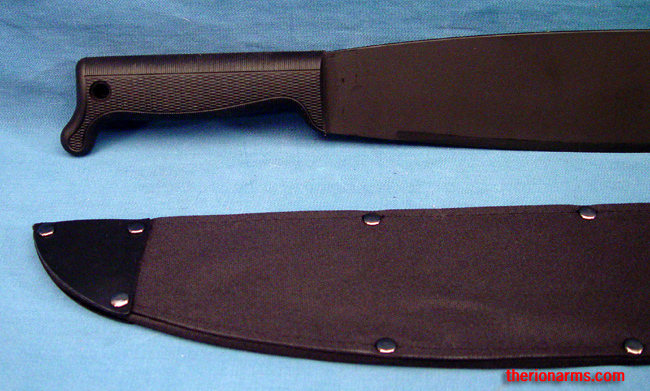 This machete is based on the Philippines/Filipino barong fighting knife.